We recently released the latest version of Toad Data Modeler (6.3) and I wanted to share with you what’s new. As ever, we make sure we always support the latest database platforms and add new ones where there is demand. For details on all our supported platforms, click this link to see a full list. Aurora MySQL 5.6 – fully supports MySQL 5.6 databases operated in the Amazon Aurora cloud engine. 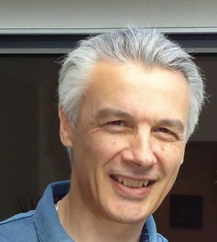 IBM DB2 11.1 – we’ve implemented changes for functions and procedures as well as adding new datatypes (BINARY, VARBINARY, BINARY VARYING, BOOLEAN). 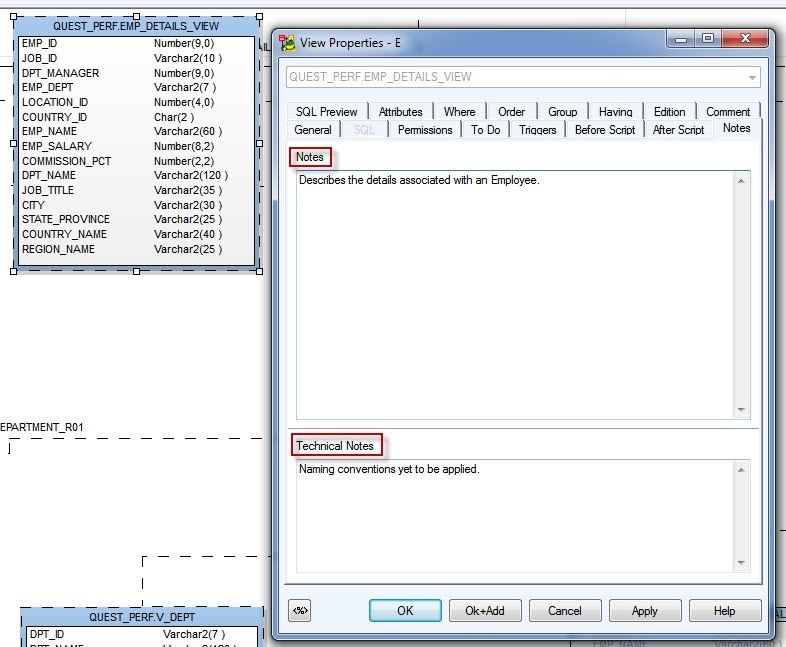 Microsoft Access – we’ve added the ability to generate names in brackets as well as generation of captions. There is a new option in the DDL Script Generation options to set these values. You can now create application variables for your relationships, check constraints and key constraints. This will ensure naming consistency during future model changes. 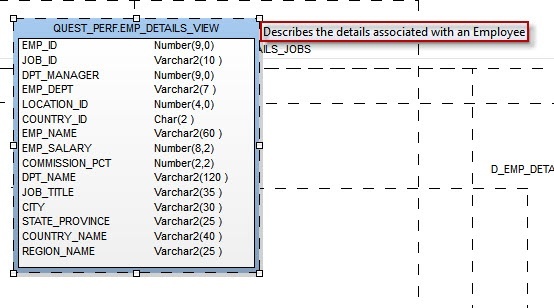 Changes can be viewed in the model by right-clicking a relationship and selecting Refresh Application Variables. We’ve added some flexibility over how you can use Workspaces by enabling you to copy layouts to different workspaces in your models. 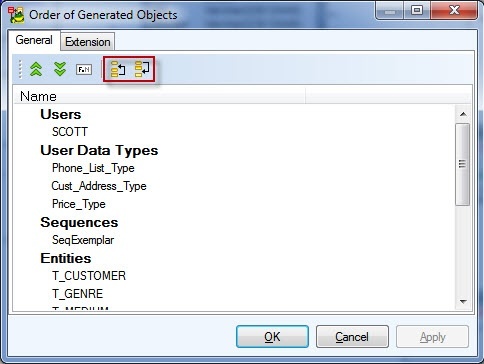 This will copy all your formatting, shapes, lines as well as positions and dimensions of your database objects to another workspace. Right-click into your Designer and select Workspace Layout | Copy Workspace Layout to to copy the layout to a different workspace. You can also right-click and object in your model and select Copy Object Layout to to copy its specific layout to a different workspace. We’ve made some enhancements to Workspaces so that you can distinguish between similarly named entities. Full Names can now be displayed in Workspace Properties. Select what you want to display in View | Display Mode or using the main Display toolbar. You can now display two types of Notes for objects in your physical data model – Notes and Technical Notes. These can be applied to entities, relations, views, materialized views, inheritances, entity attributes and view relations. Double-click an object and select Notes to fill in your notes and technical notes. You can control what is displayed in a popup hint in both physical and logical models in Designer in Settings | Options | Graphics. When you hover over an object header, you will see a note, technical note (or nothing if it has been set to Disabled). 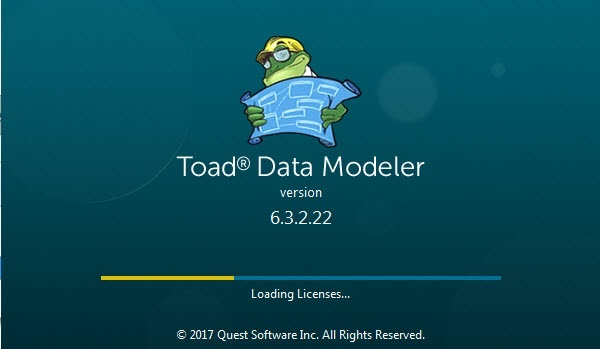 For more information on Toad Data Modeler 6.3, check out the Release Notes. Don’t forget we have a lot of information on Toad Data Modeler on our Toad Community website: Toad World. Here you can participate in discussions, download products, read blogs and view videos and get access to other related resources. 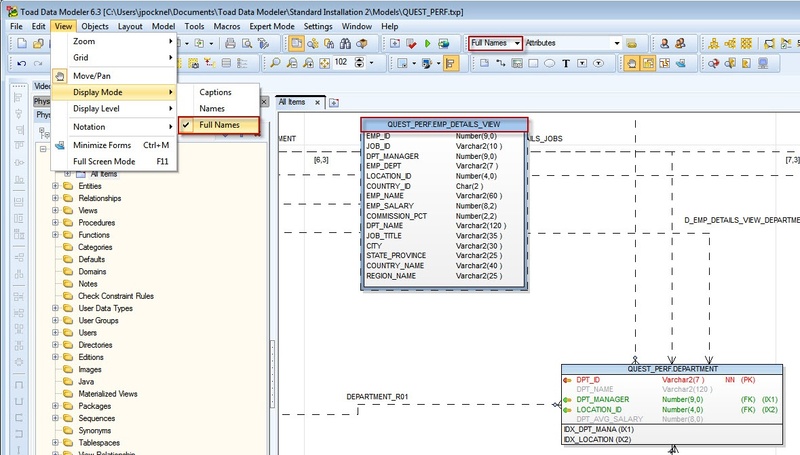 Hope you enjoy using Toad Data Modeler 6.3!